With the decision for the D-Day invasion to take place in Normandy, the Merville Battery’s location became of paramount importance as it had the ability to fire along the length of the proposed SWORD Beach. It was imperative that the Battery be silenced before the landings began. Attempts were made by RAF Bomber Command to destroy the site, but with the casemate walls being in places up to two metres thick and covered with earth, they proved to be almost impervious to bombs. 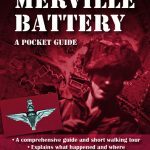 Airborne Forces, in the shape of the British 6th Airborne Division had many important tasks for D-Day, not least of which was the silencing of the Merville Battery. This formidable task was assigned to Lieutenant Colonel Terence Otway’s 9th Parachute Battalion. 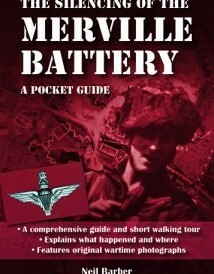 This comprehensive pocket guide is designed for anyone visiting the Merville Battery but is equally useful for anyone wanting an accurate understanding of exactly what went on and where. 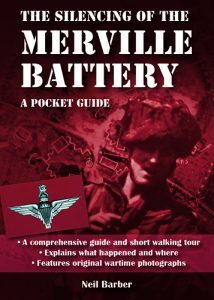 Neil Barber has written a number of comprehensive guides to the Normandy Campaign including an in-depth look at the Merville Battery. Here he uses photographs and first-hand accounts to simply explain what happened in those first few vital hours of D-Day.